Your dream is to build a thriving cleaning business that people can trust. Deep down, you know you’ve got what it takes to stand out in the sea of competitors. Word-of-mouth marketing underpins your success, and you do it well. You manage relationships clients, new customers, and referrals like a pro every day, even though you’re swamped with other responsibilities. Yet you know in the back of your mind you’re leaving a lot of money on the table. The changes in Google's algorithms haven’t escaped your attention. Mobile marketing and getting a mobile friendly website has been on your mind, but you’re too busy keeping first things first. Running a cleaning business isn’t easy, and you’re often exhausted by the end of each day. It’s rarely convenient or easy to work on your business, and you hope you can expect continuing success using your current website until you have more time. Trouble is, you’re missing out on opportunities because mobile friendly websites have seen a 10.8% increase in traffic since Google’s Mobile-Friendly algorithm update (Source: Duda Website Developers). What do prospects see when they visit your website on their mobile device? Can you afford to miss out on 60% of your prospects due to an old website? According to Google, 61% of users are unlikely to return to a mobile site they had trouble accessing. 40% of those people visit a competitor’s site instead. (MicKinsey & Company, 2014). Just as your clients have personalized needs and expectations about the cleaning you do, everyone who visits your website has individual needs and expectations about how they want to get information about your business. Don’t underestimate the importance of this. We all have a much shorter attention spans these days. It’s more trying than ever before to keep up with all that you need to know (and do) to make your presence known. You want answers fast, and so do your prospects. Just think of the frustration you experience when you’re looking on your computer for a solution to a problem, and you can’t view a website properly. Now imagine how much more annoying it is to have this happen on a smaller device. Especially when you can see the information you want, but you can’t get to it because the link is so small that only an ant could hope to hit it. Do you stick around in a situation like this? If you’re on a phone or tablet, the odds are you will abandon the site and look elsewhere. New mobile devices are appearing all the time (anyone invest in an Apple watch lately?). As technology improves, they are able to do many more of the same things that desktop computers and laptops do. Meanwhile, desktop computers and laptops are being designed to allow them to act more like mobile devices. You want your website to be readily available and useful to those who find it. If someone is searching on a desktop, your website should be easy to navigate with a mouse or a touch screen. You may want to replace some links with buttons to make your site friendlier to touchscreen users. If a prospect arrives at your site on her smartphone, you want the text to be large enough to read so she does not have to pinch-and-zoom just to read the content. Also, your business value must be apparent to your prospect within mere seconds. Do you share how you solve your prospect’s problem on your home page and is it clearly visible? Do you have a mobile-friendly website already? Find out just how mobile-friendly it is by using Google's Mobile Friendly tool. What does a mobile friendly or responsive website look like? Mobile websites and mobile marketing are not going away because digital marketing is the future. Responsive sites are necessary to take advantage of present and coming opportunities of the digital marketing age. Having a responsive website means it's going to re-size itself, or "respond" to whatever size device you're using. Here is an example of our site, Marketing Systems By Design. Notice how the website changes depending on what device you're using. Also notice how easy it is to read the text and see the graphics -- no pinching and zooming here! Responsive sites are also easy to scroll. Simply glide your finger up the screen to easily browse the site. Once you have a mobile friendly site, be sure to follow through your marketing strategy by making sure it's optimized for local SEO (search engine optimization). Match on-page and off-page keyword optimization to help search engines find your site, index your pages, and make your site load faster. Optimizing on-page SEO (a/k/a “on-site”) means doing what you can to make different parts of your website more useful to your prospects and to search engine robots. Put your targeted keyword in the title tag of each page on your website. This helps the search engines find you and index your information more easily. You want to help your prospects by making it clear that you offer what they are searching for. Use your keywords in H1 and H2 tags (generally the largest size headings available) while keeping in mind your prospect’s intent. The search engines give more attention because these statements are emphasized as important. Work keywords into URLs, if possible. Take advantage of alt text to optimize images. If you put an image of a cleaning technician vacuuming, your alt text might be “vacuuming carpet yourcity”. Alt text is there so search engines can “read” what the photo is about, recognize your keyword and index it. The idea behind off-page SEO is to create a presence on social media and to get links from other websites. Doing this increases the authority of your domain. Domain Authority is a technical term for rising in the search rankings based on having so much good information on your website that it compels others to link to it. You can also rise in the search rankings by soliciting opportunities to link back to your site using social media. You might reach out to owners of influential websites such as your local Chamber of Commerce and asking them to link back to your website. Or you might write guest blogs and encourage sharing the posts on social media. We've just scratched the surface of marketing your mobile website, but these tips will get you started. If you’d like to discuss the capabilities of your present website or explore your options, fill out our Free Marketing Audit today! Are you using the latest lead generation tactics for your cleaning business? Leads are the lifeblood of your business, and your cleaning company depends on a new flow of customers to keep your business afloat. If you’re a cleaning business owner who is looking for new ways to spark interest in your services, these lead generation tactics can help move your business forward. 1. Offering a New Cleaning Service? Create a Video Demonstration. Cleaning videos help potential customers learn about your business as well as learn about new cleaning techniques. Let’s say you’re offering a new service – pressure washing. Create a demonstrative video on how you power wash sidewalks, entryways and more. For a more in-depth explanation of creating great videos for lead generation tactics and local SEO, read our previous blog post: How to Optimize YouTube Videos For Local SEO. Today, it’s not enough to simply type “call us” or “email us” as your call-to-action and expect the phone calls and emails to pour in. Customers need to be inspired and compelled to call your business. You can help by creating a call-to-action that stands out above the rest. As an example, one of our cleaning company clients used to have this simple contact form as their Call to Action. As you can see, there is not a real CTA here at all---it’s a simple form with a “submit” button. Nothing exciting and it wasn’t generating any leads. We designed the CTA you see below for their home page. You can see the data-driven statement is followed by a very clear Call to Action. This lead generation tactic gives customers a reason to click on that button. You are telling them exactly what you want them to do. Blogging can be an excellent lead generation tactic, but you must implement it correctly into your marketing campaign. Optimizing every page on your website will help trigger the search engines and rank your website pages as highly as possible. If you need a guide and use WordPress, give Yoast for SEO a try. This plugin allows you to use your target keyword as effectively as possible, and will give you tips on how you can improve your SEO on that particular page or blog post. This graphic shows there is no focus keyword phrase chosen for the page so a relevant content analysis cannot be done. The next graphic shows the focus keyword “Frequently Asked Questions”. Notice all the green dots. This means the page is well-optimized for SEO. As you implement the suggestions on orange and red dots, the optimization of the page improves, until the entire page gets the green light for being well optimized. Did you know that Twitter can be a goldmine for finding potential prospects? The key is to find the right prospects in order to generate the most qualified leads. Followerwonk is a tool by Moz that allows you to dig deep into your Twitter analytics and analyze your followers. This tool pulls and exports data from existing client Twitter handles and sorts useful information of their followers into one convenient spreadsheet. For example, Followerwonk can help you locate the LinkedIn profiles of relevant prospects based on your current followers. You can also sort this data by relevance, such as sorting by date (year) and domain authority. This will give you the opportunity to become laser-focused with identifying prospects on Twitter. This is one of the lead generation tactics that is done offline. Speaking at a networking event can help establish you as an authority on your topic. You’ll also make a room full of new connections at one time. This works best if you know your topic from the inside out and can pass along interesting and relevant information to your audience. In fact, your presentation doesn’t even have to be about cleaning! You are a business owner, so share some of your success secrets that can be applied to any kind of business. The presentation I did below had nothing to do with cleaning. Since Steve and I have worked together as business owners for 29 years, we’ve learned a thing or two about how to “Build Your Business Without Breaking Up Your Marriage”! An email list is another goldmine for lead generation, but it can be tricky to build that list. Most people don't hand over their e-mail addresses with no strings attached---they expect something in return. Give an incentive that has a high perceived value by your prospects. For a residential cleaning company it could be a discount for their first cleaning appointment. But most offer some kind of eBook or useful Checklist. As potential customers opt into your e-mail list, your lead generation pool will grow. Sometimes you need to spend some money in order to get qualified leads. A Google AdWords PPC campaign can help put your name in front of the competition in even the most competitive industries. There are many techniques to maximize your ROI with PPC, and it’s best to seek the advice of an expert before moving forward. However, you should read the book The Ultimate Guide to Google AdWords by Perry Marshall if you’re trying PPC on your own. A mobile friendly website is key to the ultimate customer experience. Websites that aren’t designed for mobile can drive customers away, and they can be nearly impossible to use on a smartphone or tablet. Here is an example of a website that’s not optimized for mobile. In order to read the content you have to “pinch and zoom”, which most people are no longer willing to do. The website below is optimized for mobile devices. Can you see the difference? Facebook ads are an easy and relatively inexpensive way to generate leads for your cleaning business, especially if you’re a residential cleaning service. You can choose to pay by impressions (views), or pay for clicks to funnel people to your website from Facebook. Be sure to use an eye-catching image, smart targeting, and split test your ads for best results. LinkedIn ads are a better choice for commercial cleaning companies. More of the decision makers for buying janitorial services are on LinkedIn. Build Your Cleaning Business with Marketing Systems by Design. If you need help your marketing strategies, Marketing Systems by Design offers step-by-step training to build your custom marketing system. We also offer coaching and consulting for more professional guidance. Contact us today to learn more. The desire of every business is simple – growth. This means bringing on new clients, new employees, and expanding your operation. But there's one thing that many businesses overlook in their growth strategy; and that is leveraging their current client base. In the cleaning industry, you have the potential to form very strong relationships with your clients. As your relationship grows, they will view you as an essential service provider. This becomes an important doorway for growing your cleaning business. Some of you may be thinking, "If they're already my clients, how will they grow my business any further?" The answer is tied to their expansion and growth as well as your deepening relationship. When a client's business grows, it often means not just in profit, but in physical scale as well. When this happens, it offers you the unique opportunity to expand the scope of the services you offer. It goes without saying -- when there's a larger space to clean, it costs more to clean it. That's why it's imperative to move with your clients as they grow into a new space, so that your operation can grow with them. Of course, a move can impact your growth in more ways than one. You may be asked to do the final cleaning on their old location and perform the construction cleaning on the new space. Another way a client’s move might benefit you is with the additional, specialized services their new building will require. From additional windows to ceramic tile or granite floors, it’s important to consider the new services your clients will need at their new location, and bill them for it accordingly. In fact, submitting a yearly maintenance schedule will ensure their new assets are being properly cared for on a regular basis. In many ways this is much easier than adding additional clients. You can maintain an already good relationship, keep staff who are familiar with the particular client they are working with, all while allowing you to profit from the additional services rendered. With positive relationships come positive perks. One of the most powerful ways you can leverage your client base is through their references and referrals. There's a distinct difference between a referral and a reference. A referral is when one of your satisfied clients is happy enough with your service to pass it along to an acquaintance when they hear they are looking for a cleaning service. While often extremely helpful, referrals are not as impactful as references. With references, extremely satisfied clients may go the extra mile and actually speak to prospective customers on your behalf. In effect, they act as unpaid sales representatives, helping prospective clients realize the value your cleaning service has already provided for them, and can provide for the potential customer. Make sure you build strong, meaningful relationships with your current clients to establish satisfaction, which will encourage them to be references for your business. Before you can use existing clients to build your cleaning business, you need to establish a strong foundation with them first. There needs to be a sense of mutual satisfaction, so that their assistance is comfortable and natural. To establish this relationship, there's a few steps you can take. First, when talking to your client, make sure the conversations frequently touch on subjects other than cleaning. Don't just talk to them like you're paid to do so -- try and make a real connection. Ensure that your supervisors and managers are also friendly with your clients, as they will likely be speaking with them more often. You can even implement a monetary incentive for those supervisors who are able to successfully expand their cleaning with an existing client. Most importantly, you must offer a service your clients are impressed by. Through competitive pricing, excellent service, and comprehensive offerings, your clients will want you to grow your business with theirs. Growing your business is not always about seeking out new clients. Often, the tools to grow your cleaning business are already there in the clients you currently service. As they grow, they'll want you to grow with them – provided a solid relationship has been established. What Is The Best Way To Market My Cleaning Business To Get It Off The Ground? When I talk to cleaning business owners about their social media presence, many of them say something like, "Yeah, I've been meaning to get around to that but I just don't have the time." And when it comes to LinkedIn, most have a personal page, but very few have created a business page. Do you really need a LinkedIn Business page? The short answer is Yes! You really do need a LinkedIn Business page! And here's why. First, you need it for business credibility. You may not realize it, but your customers are doing research on you and your business. They want to see how professional you are, and one way to do that is to check out your website and your social media presence. If they visit your website and see your LinkedIn social media button, they will likely click over to see the page. A second reason you need a LinkedIn business page is that there is SEO value in just having it set up. The search engines tend to rank LinkedIn, Facebook and Twitter pages high in business searches. If your prospects go online and search for your company name, what will they find? Here are search results that show 3 of our business pages for The Janitorial Store. If they don't go directly to the website, we might capture their attention with our social media page links. And think about it; don't you tend to trust companies who have lots of links to their online presence in search results? It means they work hard at their business and are in it for the long haul. What should I post on my LinkedIn Business Page? Like any social media page, it's great to have the page set up, but give it a boost by posting engaging content. We typically do three things with our posts. Ask questions. Think about what kind of questions will get your audience engaged. Amplify our blog content. We take the time to create content for our audience - kind of like this post! So we want to share as much of that content as we can on social media. Share other's content. If other related businesses are sharing great content, then share theirs with your audience, with a comment on why they should read it. Here is an example of a post that ABM posted on their company page, sharing the good things they're doing to help families in need. A Showcase Page is basically a sub-page of your business page. They are optional on LinkedIn, but you might consider doing them because they allow you to showcase your products and/or services, and give more detail than you can on the main business page. You are limited to 10 Showcase Pages, but that should be plenty for most small businesses. So for a cleaning company, you might have a Showcase Page for the primary industries you serve, something like you see below. When you add Showcase Pages, they show up on the right sidebar of your business page. Another benefit to Showcase Pages is that the search engines index them separately from your Business Page. The downside, is that it becomes more to manage. But if you have help with your social media posting, then you don't have to worry about personally doing the work. Are you ready to get your LinkedIn Business Page up and running so you increase your online visibility? Post your comments below, we'd love to hear your thoughts and success stories! Last week we attended the annual ISSA Trade Show and Cleaning Convention. I did a total of 5 presentations throughout the week for ISSA, BSCAI and ARCSI, and one statistic I shared got the attention of many cleaning business owners and distributors. What exactly does this mean for your cleaning company? It means your customers are doing research on the companies they're thinking about doing business with before they contact you for a price quote or proposal. In fact, even if your customer received a referral from a friend or business colleague, they're not immediately picking up the phone the way they used to. Now, they think to themselves, "John said that he uses ABC Cleaning, so I think I'll check them out on the Internet to see what I can find out about their company." What are they going to find when they go searching for your company? It also means that if you want those customers to find your cleaning company when they're actively researching, you must have optimized content that comes up on the search engine results page (SERP). If nothing shows up for your company, then your competitors who do show up in the search results will get the business. Here is an example of having a great online presence when a prospect goes searching for your company name. Buckets and Bows Maid Service dominates the page with their location on the map, their website, social media links and review site links. 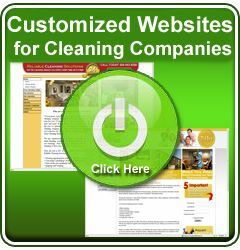 Here is another cleaning company in Dallas, but notice that they are not on the map, and every link on the page directs them back to their own website -- no social media presence and no review sites. In fact, they seem to really focus on being the "low-cost maid service" in the area. Not sure that makes for a very profitable business. Do a similar search for your own business. What do you find? If you have a strong online presence, as the first company does, then chances are, it's going to help to convert your prospect and prompt them to pick up the phone. Once they call, the ball is in your court. All you have to do is close the sale! If you are struggling with your online presence and with marketing your cleaning business, we'd like to invite you to Join our Marketing Discussion Group on Facebook! In our last blog post, we addressed the question: Where are all the good cleaning technicians? Most cleaning business owners are singing the blues these days because they're having a hard time finding good employees that stick around. Because of that article, we asked our readers to take a survey that would give us insights into the hiring difficulties cleaning company owners are facing today. 66 business owners responded and here are the results. What kind of cleaning business do you have? How long has it been since you started your cleaning business? How big of a challenge is it to find good applicants and fully staff your cleaning business today? How serious is your labor situation? How does your staffing challenges today compare to one or two years ago? On a scale of 1 (not so good) to 4 (excellent). How would your employees rate your cleaning company as a good place to work? Please describe what you are doing specifically to make your cleaning business a better place to work. We just implemented PTO. This will start occurring after employee has been with us for 90 days. For every 8 hrs work they get .25 paid time off. We are really working hard at helping with childcare -- BIG issue with keeping employees. Yearly employee (with family) picnic at a local amusement park. Bonuses for quality assurance checks that pass with a 85% or higher. Starting wage is $10 an hour. Stages of growth in the business ~ work your way to better pay with added responsibilites. Trying to encourage employees and verbally thank them for being a great employee. This seems to turn the attitude from grumblings to sharing how they were creatively finding a solution to a problem. Listening to employees concerns and actively doing something about it, when possible, rather than justifying or brushing it off as " I'm the boss and I know better", gives them an appreciated team feeling. Treat my employees like I would like to be treated in the business. If they have trouble with cleaning certain buildings find ways to fix the problem and help them out. Hire using results oriented job descriptions. Insist that the Company core drivers are followed at all times, without exception. Train in-house regularly and require outside training and certifications. Hold regular employee meetings and evaluations. Buy far the toughest for me is to holding people accountable. Lately, we feel like we've won the lottery when it comes to good employees. Because of this and not wanting to lose them, we recently increased their pay across the board. We had discussed needing to pay better in order to attract and maintain better employees, so we decided to raise the pay of the ones we have first. We also like to reward our employees with gift cards. They work hard, so giving them a gift of a massage or a night out to eat let's them know how much we appreciate them. Appreciation goes a long way and it needs to be more than just saying thank you. Our industry is a thankless one, we rarely hear a thank you from our clients, so we try to make sure our employees know how much they're appreciated to us. I am going to focus on developing a stronger and more positive culture. I have at times been negative. I have been negative at finding people to work because I don't think they want to work, so when I schedule an interview, 9 times out of 10 they don't show up and I just get discouraged. I am looking at different ways to interview. I feel as though we are moving in a good direction and after years created the "ideal" employee checklist to interview with as a guideline, allowing us at this time and the near future to be ok. Of course, with the appeal of the minimum wage increase slated to happen for some of the bigger companies, I feel that will have a great impact, no matter how much we care or listen. That is my concern now. We have an employee of the month with a gift card for $25-50. We pay a current employee $100.00 for finding a good worker if they stay for 90 days. We are thinking about a star sticker program for employee's that keep their Janitor closets clean and neat. Keep our back pack vacuums well maintained especially the extension cords, from pulling out the pig tail from the vacuum, and keep the cord untwisted and damaged. I replace currently no less than 8-10 extension cords every month plus pick up at least 1-6 backpacks due to neglect and pulled out or shorted pigtails, or ruined extension cords due to either end plug end shorts, plus cord bare wires shorting out etc. We have a very real equipment neglect issues which extend much farther into very expense cleaning machines. Etc. My staff clock in and out at our office the beginning and end of each day making it easy to communicate with the team leaders about their day. We begin each day with a smile and a "Good Morning" and end it with "How did your day go?" "I'll see you tomorrow!" Each teams next days schedule is posted on the wall so they can see what is coming up on the following day. We schedule the same team together as much as possible. We provide 6 paid holidays and two weeks paid vacations. We provide company uniforms and company vehicles, no one has to drive their own vehicles. I conduct mandatory, weekly staff meetings each Friday morning to review training issues so everyone works from the same page. Our employee training manuals are complete and organized with a copy in each vehicle. I stay very positive. I praise very loud and publicly. I reprimand privately. I am constantly discovering fun ways to coach, games, contests and while challenging to "rise above" other cleaning techs in service and skill. The bottom line, this is a very physical service and not a lot of people can do it well. I'm thankful for the staff I have! They make my business successful! Prior to starting my cleaning business I was a Human Resources Director in the hotel industry for 15 years. So I have a very strong background in Team Member Relations and creating a professional positive and fun work environment. There are many things I've done but if I were to sum it all up into one this. Keeping the team members engaged with each other and the business. Make them feel like they are a valuable part of the business. Listen to them, implement their ideas and suggestions and if there's a "bad apple" in the bunch who, after coaching and counseling, won't change their negative behavior; they need to be kicked off the team and replaced. Also get the cleaners involved in the interviewing process and let them be a part of the hiring decisions. Incentives, bonuses, flexible schedules, positive atmosphere, do not yell or demean when correcting a problem. 1- We recognize Team Members b-days, have donuts periodically or pan dulce, have "graduation celebrations" when Team Members become certified (and a pay increase comes with it), 6 month reviews with opportunity to increase pay by $0.80 / hr per review, weekly team reviews (we work in teams of 2), providing feedback - accomplishments as well as opportunities, we have favorite candy bars and sodas that they can get when doing something well, we hand out gift cards for lunches when team members are caught doing something well - make a customer's day. The culture of Family first, This assures the ladies if one of the children get sick or a family emergency they are don't have to worry about job security. The have weekends off, and I have developed a great team who enjoy working together and serving our customers. We try to pay higher than our competitors. We offer paid vacation after 1 year. We offer gift certificates throughout the year to local dining or bonuses when an employee has gone over and beyond. Better pay than competition, thorough training practices~10 hours before out in the field, professional in all aspects, respect for their ideas and efforts, incentives. Better pay, vacation and help when necessary picking up children of employees. We give some people that have a hard time finding work a chance. We have water and soft drinks in the fridge. We have cookies, chips, or buy some food to have in the fridge just in case we have a long working day. We pay slightly more and strive to make it a great place to work; fun and motivating while holding employees accountable rather than just praising their every move. The accountability piece lets them know we care and want them to be the best they can be. Give each person time to say what might make the jobs go better for them. Main thing I found is to let them have their concerns be heard. Give my cleaning technicians quarterly incentive. Start a birthday club gift for every employee. Training evaluation based on machine operation to increase wages. Prize giving ceremony at the end of year for staff who have excelled in all areas. Reward for great customer service performance and job performance with bonuses, gift cards and certificates. I promote when needed and encourage them to strive to become a leader. 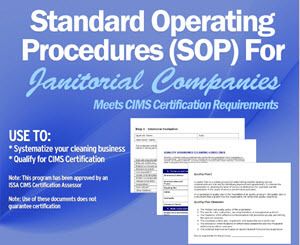 We attend several webinars on cleaning, social media training, customer service, etc. We have monthly communication meetings and strategic trainings with staff. I provide everything they need to make their job easier. We are involved in charity events and I donate food for their families from food drives. Please share the top two ways you’ve found good employees. Please describe if your current labor problem continues, how will it change the way you operate your cleaning business? I believe the labor problem, from what I have read, is with any industry that employs hourly personnel. I see the problem in a lot of places around any community... Fast food, retail, light industrial, etc. The wage rate we are required to pay is quite attractive and comes with fringes, so as janitorial work goes, we are paying well. I just experienced a growth spurt (yeah me!) and also had some of my strong employees leave (they were college students and graduated and got "real jobs"-can you believe that...the nerve!) so I ended up reevaluating my staff. Biggest problem is that the uber taxis of the cleaning world are taking potential candidates -- especially Handy.com here -- with the lure of inflated wages that don't reflect the high cost of payroll taxes or other costs that legit companies like mine incur. It's also raising wage expectations of existing staff that do keep an eye to or hear about what is posted on job boards. The other big issue is the improving economy -- it's great for demand for our services, but bad for hiring as people have way more job options. It will stunt our growth, we have more cleaning jobs than we have employee's which means we are always jumping in to help in order to get the request handled. We have hired young ladies 18-25 and most just don't have that work ethic developed yet. We have hire older ladies 50-65 and they poop out after the first home or complain my back hurts, my legs hurt, my elbow hurts etc. We have hired men and most just don't seem to have that cleaning gene in them or have that attention to detail. We have found that out best workers are ladies 30-50 years old. This has been our experiences. It's hard to be motivated to grow the business knowing that a few weeks after you hire someone, they quit showing up or you have to let them go because they don't do a good job. Then, the new building falls on us to do and we're trying to decrease the hands-on work on us, not increase it. My husband and I can't be everywhere and do everything and when there are call outs, the work falls on us. So, we aren't excited anymore to get more business. If a labor problem were to continue I just wouldn't be able to grow my Company as fast as I would like to. Although I'd rather grow it slowly and make sure I have the right cleaners in place then to just hire a warm body who it thrown into cleaning and then we start getting a lot of complaints from the clients. We will be working with our Team Members to identify what they believe would benefit those most and make them most likely to stay and refer us to friends - pay, paid time off, company vehicles, other benefits??? I need more people who drive, this is what hurts my business the most. The rise of minimum wage and what my budget allows from clients payments makes finding the right person a bit harder than 5 yrs ago. My labor problem seems to be people that interview well, then turn out to be flakes. Dependability is a big issue as well as the physical exercise involved in cleaning, though this is emphasized in the job ad and the interview. Many seem to want to be paid but only put in minimal effort and call it good. If the current labor problem continues, and I end up with more clients than I can serve, I will place them on a waiting list until they can be served with confidence. Our most difficult areas to staff are outside of the 50 mile radius of our office. We have decided to get rid of most of those accounts. It takes too much time and effort from our management to fill those positions and they have to clean the buildings if we don't have staff. I started my business from the bottom and I know how the community works and how to help employees in my industry feel that they work for a good company. So, I will continue to create innovate ideas and motivate our employees. Really not sure.... We are intrigued by the idea of hiring foreign workers as it seems many Americans in our local market do not like manual labor. I can only get bigger as I get better! It will not change the way I do business. I am always looking for new and innovative ideas that will attract and retain excellent employees. Retention is really the key to providing consistency to our clients and giving the business an opportunity to grow. If I am constantly refilling lost employees, I am spinning my wheels and not progressing forward. I also lose a good bit of money hiring and training employees, so if the turnover continues I will be in a constant cycle of losing money. It's a challenge, but not that serious of a problem to warrant changing the way we have done business. Move away from adding more Janitorial accounts and focus on specialty services that require fewer employees to operate. My business will suffer because the time I take to do operations takes away from my time to sell (bring in new business). It's hard to be motivated to grow the business knowing that a few weeks after you hire someone, they quit showing up or you have to let them go because they don't do a good job. We have been forced to reduce work. I can't see any other way just yet. I am fearful that I may eventually become so exhausted and worn down from this that I will give up the business. If the current daytime labor shortage continues, we will have to shut down the daytime residential cleaning division; and rely on commercial contracts to take up the slack in revenues. I have too many requests for cleaning to keep up with and may go back to simply keeping the same regular cleaning jobs without expanding. Once I take on new jobs and an employee quits I am stuck filling in myself for lack of subs. More project cleaning using less regular employees and higher pay. Contracting. If a labor problem were to continue I just wouldn't be able to grow my Company as fast as I would like to. We will have to hire more overseas workers if local recruitment efforts continue to be less than satisfactory. Just being able to give each one more income. I feel that"s what needs to be. My labor problem seems to be people that interview well, and then turn out to be flakes. Dependability is a big issue as well as the physical exercise involved in cleaning, though this is emphasized in the job ad and the interview. Many seem to want to be paid but only put in minimal effort and call it good. If the current labor problem continues, and I end up with more clients than I can serve, I will place them on a waiting list until they can be served with confidence. I feel as I am competing against our welfare system, I really don't see an end to it. I have staff that has been with us for over 5 years, seems the people that really need the money don't want to work. We have already stopped promoting for new clients so we're on pause. Closing down is going to happen once we have another income stream in place.